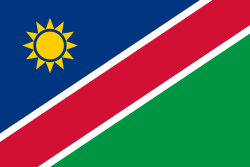 Namibia and southwest Angola. After remaining in these areas for millions of years, the black mongoose is highly specialized to survive in the harsh arid environment. Galerella nigrata) home range and social behaviour affected by abundant food at an antelope carcass". African Zoology. 40: 154–157.